You deserve to be happy. We all do. Yet, that doesn’t always mean that you will be. Instead, you are going to find that you may actually end up finding yourself off track or not quite fulfilled. And because this is such a negative emotion, or because you feel bad and as if you should just be happy, or there’s no cause for you to feel this way, you may ignore it and do nothing about it. Yet, doing so will only make it stay. This kind of thing can pop up in all areas of your life. In yourself, at work, and even at home. It’s such a strange thing to find yourself unhappy at home. Yet, it happens. We all think that when we buy a house, or we decide to move, the action itself will make us happy. That we should automatically feel happy, just because we’ve gone through that process. But it’s not. It’s the same with work too. Maybe because you have a good job or you’re doing well for yourself, you feel as if you should be grateful, even if you’re not. And that’s okay – but you just need to do something about it. The thing is, you can become happy. You can look to boost your life and make sure that you finally create a life that you love. But it will take you some work. Some things you can do are small but incredibly effective. Some things are much bigger yet equally as rewarding. 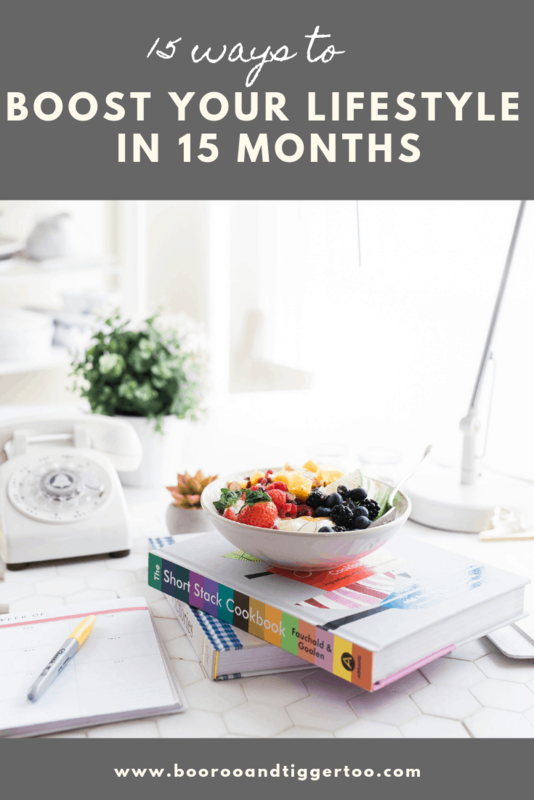 So here they are, fifteen ways you can boost your lifestyle in fifteen months (or less). The very first thing that you can do here, is to aim to smile a lot more. It sounds a little silly, but when you smile you immediately feel happy. Go on – try it. It’s strange isn’t it? Because the small action of smiling can make you feel so much happier, and you can do this every day to boost your life. Next, an additional small thing that you can do here, is to make sure that you’re being as present as you possibly can. Because if you’re always in your mind, and you’re planning or thinking or worrying, it’s not going to help you to do any good in life. Instead, you’ll find that if you can be more present and mindful in life, you’ll feel happier each and every day. Another really small thing that might help you each day, is to get more sleep. If you are not sleeping well, it’s not going to help your lifestyle at all. You won’t have enough energy and it’s going to impact on your happiness. So it’s in your best interest to come up with a bedroom routine that will allow you to wind down and get to sleep well, then actually feel well rested in the morning too. To help with the previous point, you might want to think about getting up a little earlier in life. Because when you wake up early and you aim to start you day in the right way, with positivity and gratitude, you’ll feel better. You may also be able to get more done and be productive because you’re up early, and that’s great. Another thing that might help you here, is to come up with a cleaning schedule for the home. Because you may find that you just get so overwhelmed with everything that you have to do each day – especially around the home. 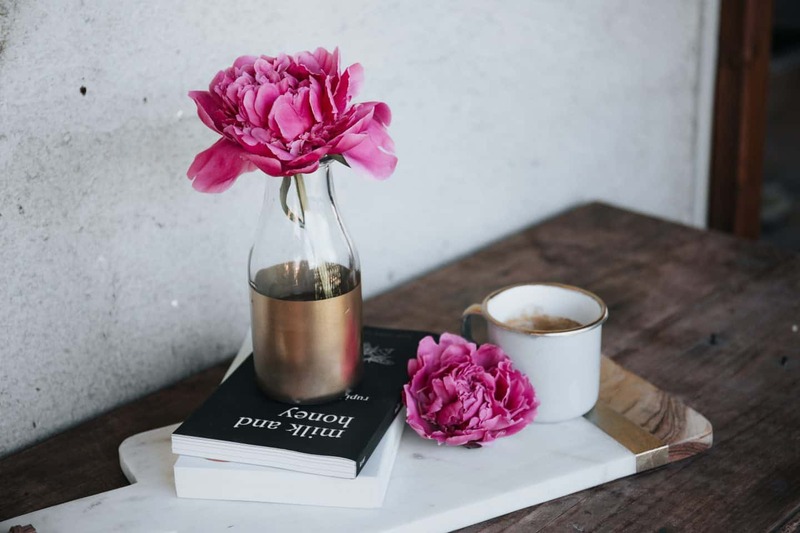 But a cleaning schedule can really help you to stay organized, be more efficient around the home, and then this boosts your lifestyle as a result. 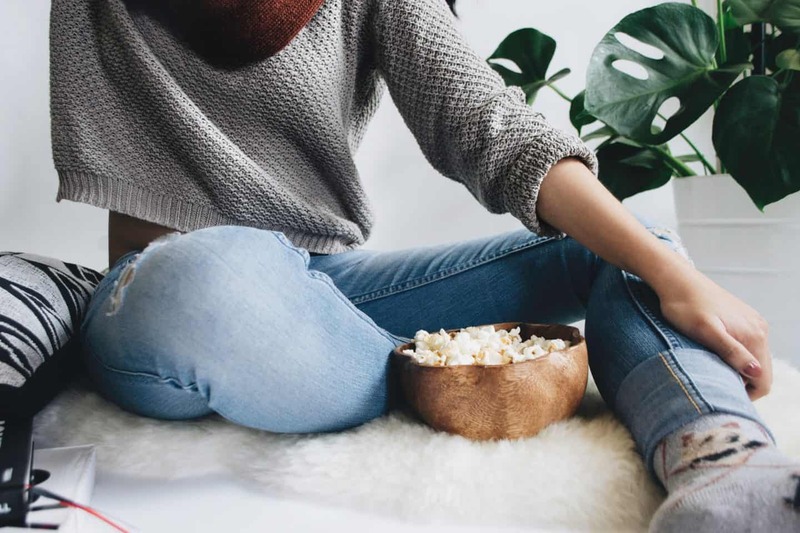 Now, if you know that you struggle with getting things done around the house, then you might want to admit that and allow yourself a bit of a break. Because you shouldn’t have to exert yourself. Instead, get a cleaner. Or a gardener. Or send your laundry out. Think about the things you can do to make it easier for you to balance home life and everything else you have going on. And while we’re still on the subject of homes, maybe something that can boost your life is decorating your house! Because if you haven’t really done any work around the home for a while and it’s looking a little dated, it’s time to change that. Maybe planning to decorating or starting with one room right away is something that can help you to feel great. But then, it could be that actually, you want to move instead? Because when it comes to being happy at home, if your current home isn’t fulfilling you, then you definitely need to do something about it. So get the ball rolling. Think about finding a suitable home, like a Redrow house if you want a new development. And then start to think about what you need to do to make this happen. But maybe that’s not quite what you’re interested in? If you’d perhaps prefer to build a home for yourself so that you can customize the space to your own needs and taste. But as you can imagine, this isn’t going to happen tomorrow. You will want to think about it, and then start to save so that you can make this happen at some point in the future. The next thing that you might want to do here, is to start something new. Because sometimes, you get stuck and feel unfulfilled because you’re just not on the right track. But it’s just so important for you to have hobbies or interests that you can turn to and get satisfaction from. So just start something new, enjoy it, and allow it to make you happy. 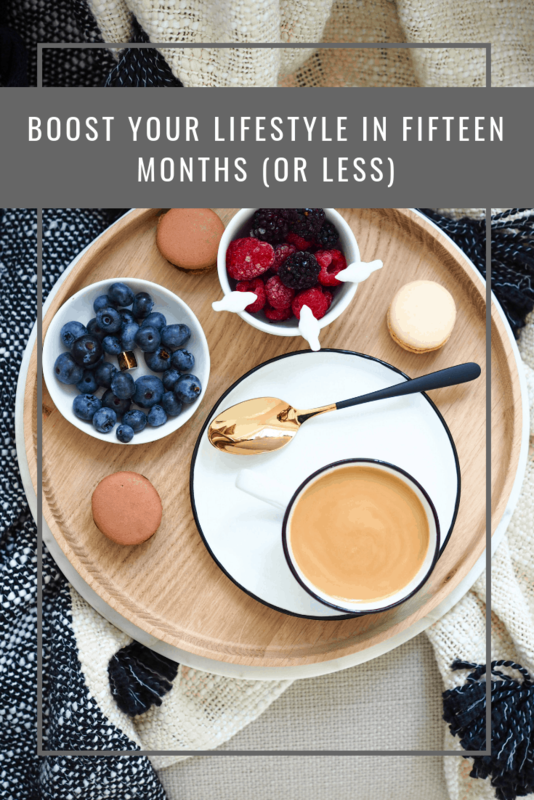 Now, if you want to make sure that you are living more in the moment and making the most of the next fifteen months, it’s time to make more plans. This could be to go for lunch or dinner, to go on day trips at the weekend, and to just explore more. This will help you to feel as if you have a greater balance in life. When it to comes to your career or hobbies, maybe you want to learn something new? It’s not just about the new things you try, but also about what you can commit to. Maybe you want to take a course or learn French? This could really boost your happiness in life. And now, you’re going to want to think about what you can do to feel better in your body. Because sometimes, we just don’t have the energy to feel good. And that can be down to what you eat and how you treat your body too. So why not aim to take better care of yourself right away? It can be as simple as eating a balanced diet and trying to exercise a bit more. As this can make you feel so much more energized and happier in life. Another thing that you might want to think about here, is starting to take more care of your appearance. It’s absolutely so important for you to be able to feel your best and you can absolutely boost your mood by dressing up. When you dress up every single day, you can feel put together and it definitely makes you feel incredible. This is a small thing you can work on to start getting the best results right away. And finally, you may also find that if you add more travel into your life, that you’re also going to feel more fulfilled. Sometimes, you just need to have something to look forward to, or to be able to take a break, and it can feel so much more refreshing to you. You don’t have to take big, expensive trips, but it’s nice to be able to travel more. So think about saving up and booking in more travel throughout the year, just to boost your happiness. So there you are, that’s all there is to it. And as you can see, there are areas of this that you might want to think about implementing right away for lifestyle boosting results pretty much overnight. And then there are the things that you can start working on today, that may end up paying off in the future. But the important part is that you start. That you know exactly what you can do to start turning your life around. To find happiness and feel comfortable with your life as it is today. So pick out the sections that you think will get you the most results and allow you to boost your lifestyle, and get started on them today. Photo Credit: unsplash-logochris liu unsplash-logoAlisa Anton unsplash-logoMc Jefferson Agloro unsplash-logoBrooke Lark unsplash-logoJen P.